Attorneys are increasingly becoming aware of distractions caused by cell phones, tablets and other technology in the clinical setting and how they play a role in medical malpractice cases. In fact, attorneys are now advertising statistics about “Distracted Doctors” on their website in hopes of garnering new clients. Interestingly, what they are advertising is happening and the number of instances is steadily increasing and ever more apparent in today’s medical malpractice cases. In December 2011, The New York Times quoted doctors who have witnessed others texting, updating Facebook, and shopping at Amazon and eBay during surgical procedures. 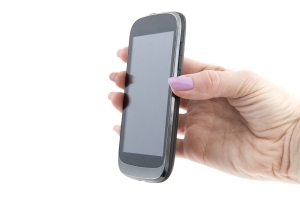 According to a survey in Perfusion, half of the heart-monitor technicians stated they’ve texted during surgery along with 55% of OR technicians who stated they made cell phone calls while in surgery – though 40% of that number admitted it was an unsafe practice. Additional examples found in literature include nurses not taking care of patients because they were on their phone at the nurse’s station; an anesthesiologist on Facebook while monitoring a patient during surgery; a neurosurgeon making personal calls during an operation; a nurse checking airfares during surgery; and a poll showing that half of the technicians running a bypass machine admitting to texting during a procedure. As a result of these technological distractions, physicians can be sued for medical mistakes caused by inattentiveness. Hospitals that employ distracted nurses and operating room technicians and other patient care staff, can also face lawsuits under the legal theory of “respondeat superior,” which holds an employer liable for employees’ negligence. Nearly everyone on the healthcare team is susceptible to technological distractions — physicians, nurses, technicians, interns, and residents. Peter J. Papadakos, MD, Professor of Anesthesiology, Neurology, and Neurological Surgery and Director of Critical Care at the University of Rochester Medical Center in upstate New York, is a leading authority on “distracted doctoring”. The issue of how damaging and harmful the distraction of cell phones and tablets are to the patients and to the medical provider have been discussed and written about in medical journals for some time now; however, they are just now coming to light in the medical malpractice realm. An elderly patient with a fever of 104.6F went to the ER with her husband and a neighbor. The patient was triaged and placed in a room. After several hours, the neighbor went to the nursing station where there were six staff members using their cell phones. One staff member told the neighbor, “We’re talking to doctors about patients,” Several hours later, the patient’s husband went to the nursing station where he saw a nurse reading a book on an electronic tablet. A physician admitted the patient 14 hours after she arrived, however the patient waited another 4 hours before antibiotics were administered. The patient developed sepsis and later died. The husband sued for medical malpractice, incensed that the staff had ignored his wife. During a deposition, the neighbor testified about her conversation with the ER nurses. Based on this testimony, the husband’s attorney requested that the hospital produce the cell phone records of all staff involved. The records revealed that none of the staff’s cell phone usage was work-related. This finding bolstered the plaintiff’s argument that physicians and staff hadn’t timely diagnosed or treated the plaintiff. The wife of a deceased patient sued a hospital and a neurology group for failure to treat her husband in a timely manner. The husband had suffered a stroke and died six hours after admission to the hospital. During the course of the lawsuit, two hospital nurses testified that they had repeatedly called the group’s answering service to report condition changes and to request orders. The neurology group denied that it had received more than one call from the hospital. The group produced transcripts of texts sent to the cell phone of the on-call physician by the answering service. The transcripts revealed that the only text received by the on-call neurologist was one informing him that the patient had expired. Suspecting that the cell phone had been wiped, the plaintiff’s attorney hired a forensic examiner to analyze the neurologist’s cell phone. Apparently, it’s very hard to delete information from cell phones completely, but the forensic examiner found no tampering or deleted messages. This confirmed that the physician had received only one text about the patient. Because of the cell phone transcript, the plaintiff dropped the case against the neurology group, but continued to pursue the case against the hospital, which quickly settled with the plaintiff. A 61 yr. old female, checked into a hospital on April 13, 2011 for an operation to correct an irregular heartbeat, an AV node ablation. Ten hours after her surgery began, the patient was pronounced dead. One of the claims is whether she was a victim of “distracted doctoring” on the part of the anesthesiologist, a point that was pushed hard by the family’s attorney during depositions in the case. The family alleged that the anesthesiologist failed to notice the patient’s dangerously low blood-oxygen levels until “15 or 20 minutes” after she turned blue. Until then, the documentation by the Anesthesiologist showed that the patient’s blood-oxygen levels were normal. Below are excerpts from the Surgeon Dr. R’s deposition. R: I think the saturations as written are incorrect. Attorney: Do you think Dr. S made them up? Attorney: Why would he do that? Attorney: Was he reading a book or talking on the phone or surfing the internet when he was managing Mrs. M’s anesthesia? Attorney: Tell me all of the things he was doing. R: I don’t know. I was busy working. Attorney: How do you know that he was engaged in other activity? R: Well, he’s working in front of me and I can see what he’s doing, and he was. Attorney: All three of those things? R: I can’t answer that. That was — he was — he was doing something. Attorney: On a piece of equipment? R: On — on a piece — either his phone or cell phone or pad or something. R: I believe so, yes. Attorney: — playing games or surfing the internet? R: I can’t answer that. Attorney: But he wasn’t watching Mrs. M? Attorney: How many times did you look up and see him doing that? R: You know, I was — I was trying to finish up the case. I don’t — I can’t tell you that. Dr. R goes on to testify that it’s fairly routine for anesthesiologists to check their phones during procedures, though he would prefer that they didn’t. R: You know, we see this sort of thing with these procedures. I mean, they’re long procedures. We see this kind of thing, and usually I — it’s not — doesn’t seem to be a problem especially with relatively short procedures. What can I say? I mean, it happens. Attorney: Do you routinely play games on your phone while managing anesthetic care? Attorney: Do you surf the Internet? S: Well, depending on your definition of surf. I do not spend an extended period of time accessing the Internet. I have logged on to the Internet before especially if — specifically if I have a question about the patient’s medications, about the procedure, yes, we’ll often, you know, do a search and find out information pertaining to the case. I will occasionally check e-mail. I will occasionally check scheduling for the office. But in general, no, I — the time spent on the Internet during a case is, you know, very brief, a couple, three minutes. Attorney: Do you post on Facebook while you’re managing anesthetic? Attorney: Do you think that would be an unsafe thing to do? S: To post on Facebook, would it be unsafe? It wouldn’t be recommended. S: Well, because you’re supposed to be monitoring the patient. You wouldn’t want to be spending time in extraneous activities that were not related to patient care. Is it possible to do so safely? Yes, because we have ways of monitoring the patient. But I don’t do that. Attorney: You never do that? S: Post on Facebook during a case? Attorney: Because you feel it would be unsafe? S: Yes, it — well, it’s — I don’t do it. I’m — it’s — I’m doing my job. I’m not there to post on Facebook. I could do it safely, but I don’t. Attorney: Do you read the paper or read books or do anything else other than monitor the patient? S: I’m always monitoring the patient. There have been times when I have read materials in the OR. Occasionally I’ve read a book during a long case but not very often. But even when I’m doing so, I’m always listening to the pulse ox, always checking the blood pressure, always — you know, at least every five minutes. I’m looking at the monitor at least every 30 seconds, looking at the patient at least every 15 minutes. But, no, it’s not a common occurrence. Attorney: Can you read the highlighted portion? S: Oh, wow. Yes. Okay. Attorney : Can you read it? Attorney: So I think you told me earlier it would be inappropriate to post something on Facebook about your patients. S: Yes, I did. I was — the point of it was the lice, but yes. Attorney: As at the corporate representative for Tx-An (the company Spillers works for), do you approve or disapprove of your decision to make that posting? S: I disapprove. I would discourage it. Attorney: Are you going to implement some policies to help yourself not make these postings in the future? S: Yes. I will never do it again. Attorney: And what is the photograph of? Attorney: Is that anesthesia monitor hooked up to a patient? Attorney: Are — is the data on the anesthesia monitor that of a patient? S: Is the data — like the vital signs? The vital signs are, but there’s no identification of the patient. Attorney: And I think you told me earlier in your deposition that it would be inappropriate to post anything about a patient on your Facebook. S: Well, specifically, but these are just numbers and there’s no way to really identify it with a particular patient. Attorney: So do you think it is appropriate to post the anesthesia monitor with patient data on it on your Facebook? S: Well, there’s no specific patient data. It’s just numbers. Attorney: So I’m — so you don’t have a problem with it; you think it’s okay? Attorney: Now, I think you told me earlier that you never post on Facebook while you’re doing anesthesia — while you’re managing anesthesia. S: Not to my recollection. Attorney: Well, clearly you do post on Facebook sometimes when you’re managing anesthesia because you were managing anesthesia at that moment. Attorney: — where it says “just sitting here watching the tube on Christmas morning,” you are clearly referring to the fact that you have to be doing an anes — managing an anesthetic procedure on Christmas morning and you’re watching the anesthetic monitor, fair? Suffice to say, the deposition speaks for itself. Never read Facebook or surf the Internet when you should be doing patient care. Remember all of the Internet can be tracked with date and time, including not only your personal devices but also the hospital computers. Never post anything about patient care on social medical pages. This should be a given; however, I am amazed of what I still find on Facebook and Twitter post. Whenever an attorney is preparing for a deposition, one of the first things investigated is all social medial post/pages, it tells a lot about a person. It can also be used against you during a deposition. Always tell the truth about an incident. It is much easier to deal with it up front than to be caught by surprise in the middle of a deposition. If you were not doing your job and something happens, own up to it immediately and tell the truth. Most employers will be more willing to work with someone who is upfront with their mistakes rather than someone who tries to cover it up. Remember your laziness and inattentiveness can cause patients their lives. Your job is to stay aware! Let’s not forget that. As the saying goes “The devil is in the details” Make sure that little devils do patients no harm.